One of the most iconic photos of Biggie and Diddy together is the one of them at the Vibe party together. 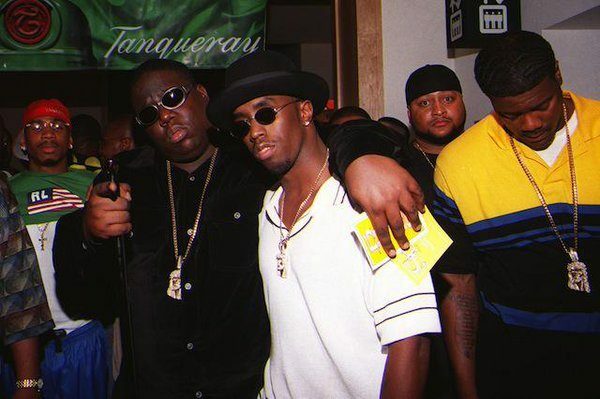 The photo features Biggie with his arm slung over Diddy’s shoulder, Biggie clad in black and Diddy in white, both of them with Jesus pieces hanging down their necks, dark shades covering their eyes. Well, their sons have sort of recreated the photo. Jordan Wallace and Christian Combs have their arms slung around each other in a photo shared by Diddy, his son’s head tilted just like his, the same facial expression, gold necklace.